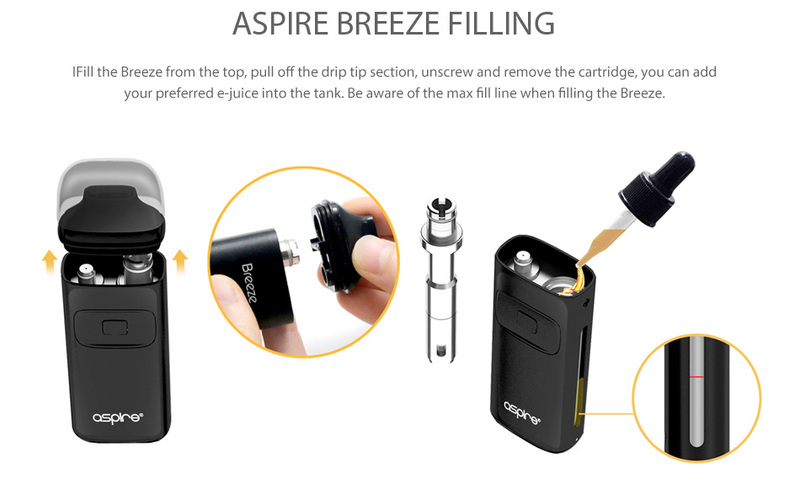 The Breeze by Aspire, the latest all-in-on style vaping device, has a built-in refillable 2ml tank and 650mah battery. 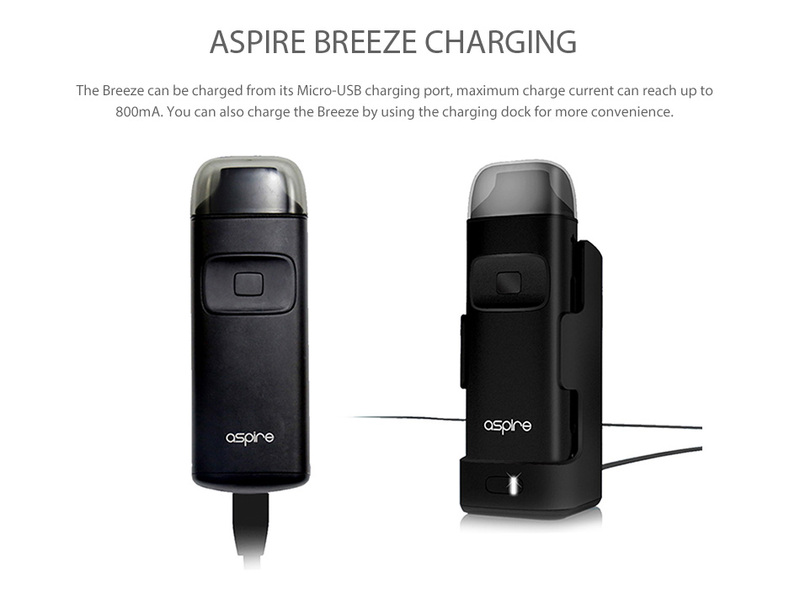 Very easy to use Aspire Breeze aio. 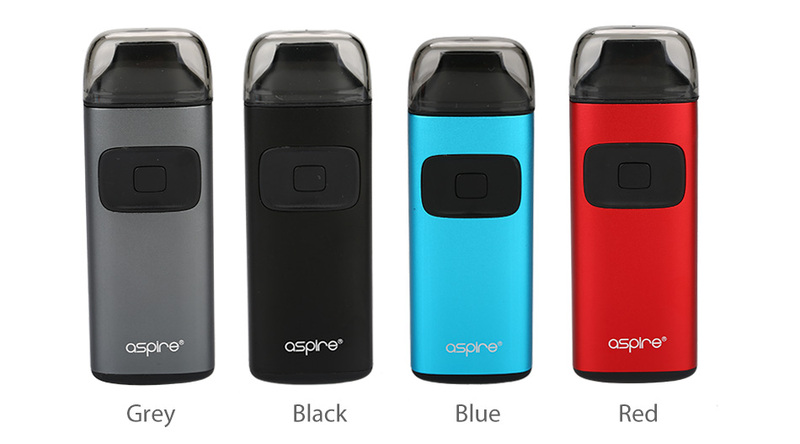 All you need to do with this aspire kit is just add e liquid and press button to vape. 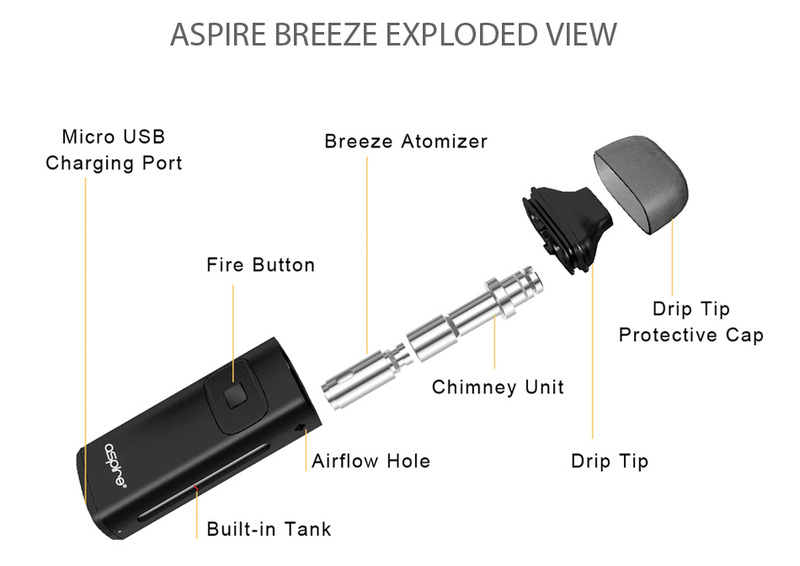 The Aspire Breeze is an all-in-one device that employs a compact and ergonomic design. It has a built-in refillable tank that holds 2ml of e-juice and is compliant with TPD regulations. It also utilizes U-tech coil which ensures you a flavorful vape. 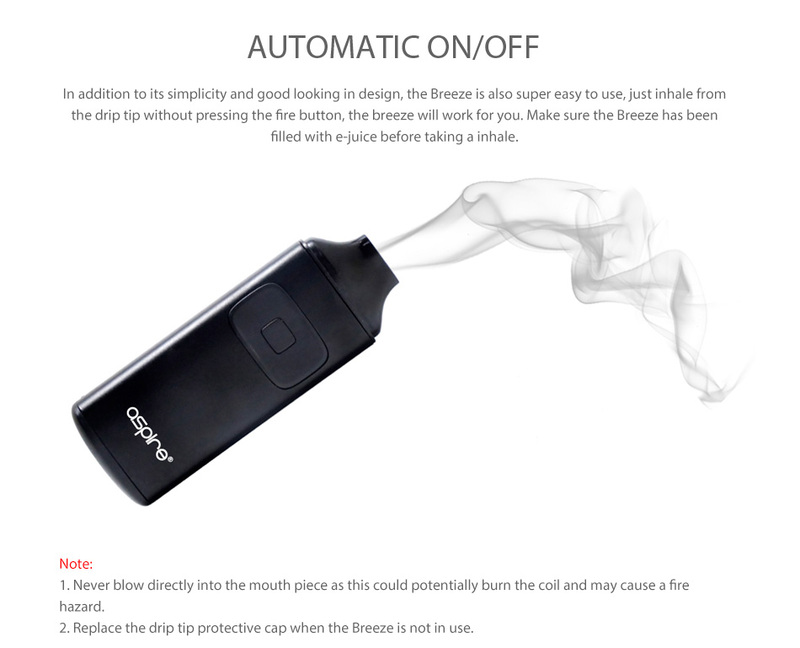 Moreover, its auto-fire feature adds even more convenience to your daily vaping. Available in 5 colors. 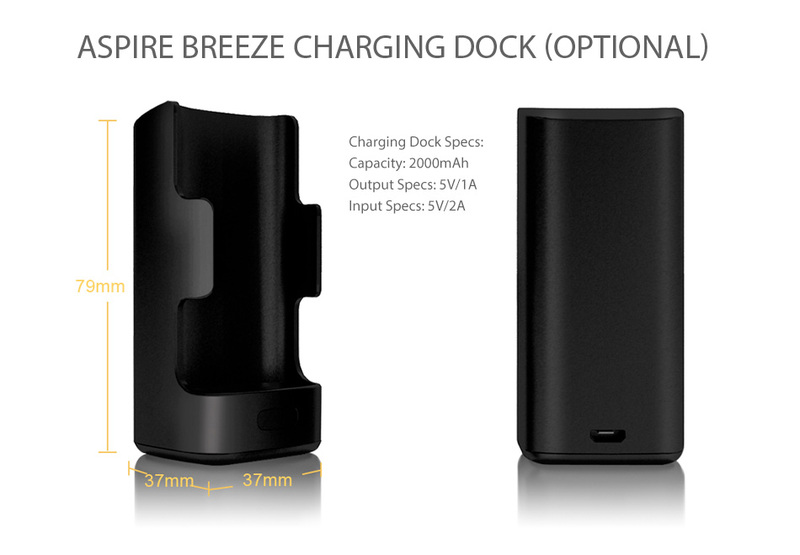 You can buy replacement Breeze Atomizer Head and Breeze Charger Dock. For optimum performance of the device, we recommend the e-liquid in use is above 6mg nicotine and its VG content is no more than 70%.